Lock in a great price for Ostello Bello Bagan – rated 8.7 by recent guests! The staff are super friendly and helpful. 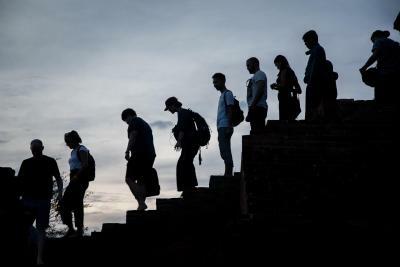 They have an in-house tour agency to help with bookings to any activities in Bagan and post Bagan. 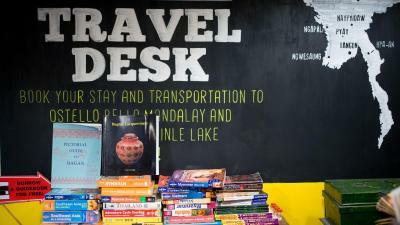 The hostel also offers different paid tours. E-bike rental right next to hostel for rent and return convenience. On-site kitchen with affordable pricing also for convenience. Delicious breakfast. A take away breakfast was even provided to me when I had to take an early AM bus. Fast wifi everywhere. Tons of common areas with electrical sockets to chill. Place is sparkling clean. Hot showers, hair dryer, and AC in rooms. Great base location for exploring ruins and restaurants. 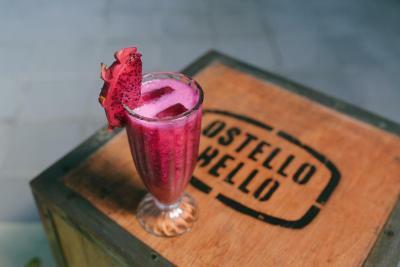 Loved Ostello Bello, great atmosphere, helpful staff, good breakfast and all the facilities are amazing! Would definitely stay again but next time I would chose the OB Pool just because is way too hot in Bagan in the afternoon .. :) thanks guys, all amazing! I stayed in a 8 bedroom mixed room. I arrived early like 10am and so couldn’t check in until 2pm but that was fine as they have a luggage room to leave all bags until check in time. The breakfast was good and the beds were comfortable. Also it had a good shower. Love the fact that there’s free tea and coffee all day as well as pasta snacks 3 times during the day. You can never go hungry here. They also have free tours during the day and activities like bingo in the evenings. The staff are lovely and I want to give a special shout-out to Su Lay Khin!!! There was a learn to speak Burmese class and she took me one on one to teach me as I was the only one who came for it. The beds are very comfortable. The dorms and common areas are really clean. Free breakfast in the morning is good. Amazing people - made a lot of friends here! Let me sleep on the roof in the early morning after getting in on an overnight bus. Good bed and shower. Cold AC. The restaurant offert good meal and good price. The breakfast was good. The staff was helpful and kind. Very comfy hostel and friendly staff who helped us with the transportation to Hsipaw. They also offer different day trips which were also quite nice. Good breakfast. Sometimes they offer you some food for free as a snack. 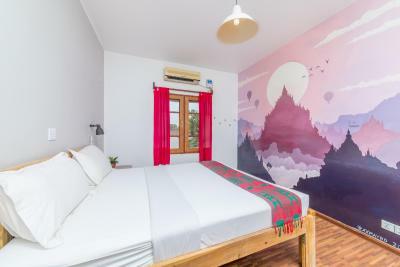 Ostello Bello Bagan This rating is a reflection of how the property compares to the industry standard when it comes to price, facilities and services available. It's based on a self-evaluation by the property. Use this rating to help choose your stay! 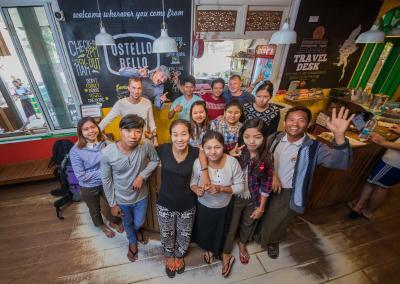 Centrally located in New Bagan, Ostello Bello Bagan offers both private and dormitory rooms with free high-speed WiFi access in all areas and a 24-hr front desk service. All rooms are air-conditioned and are provided with bed linen, complimentary toiletries and towels. 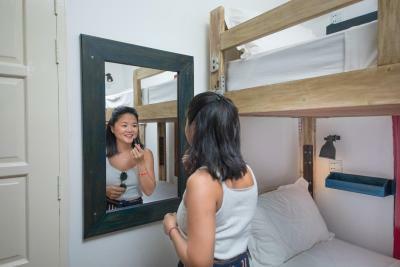 The private rooms offers added space while beds in the dormitory rooms each have their own personal reading light and electrical socket. Guests staying in the shared rooms can also store their belongs in the lockers, free of charge. Both room types have a private/shared private bathroom. 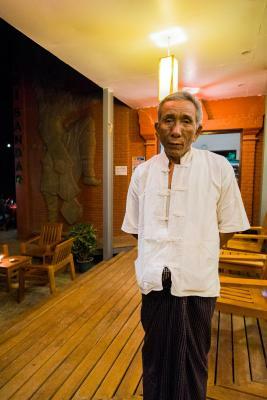 The staff can provide any travel recommendations, book sightseeing trips and teach guests simple Burmese conversations during your stay. 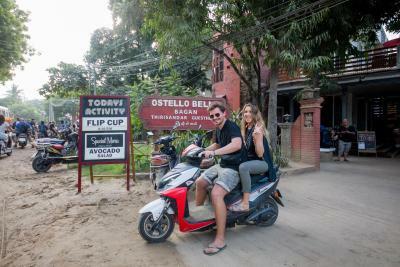 Cultural activities are also rotated weekly from movie nights, Trivia, Bingo and traditional Burmese dancing are also available at Ostello Bello. 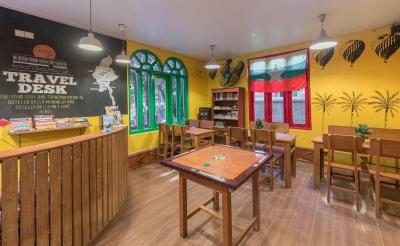 The on-site bar and restaurant opens for all 3 meals and serves both local and Western dishes. Snacks, coffee, tea and water can also be found at the shared lounge throughout the day. 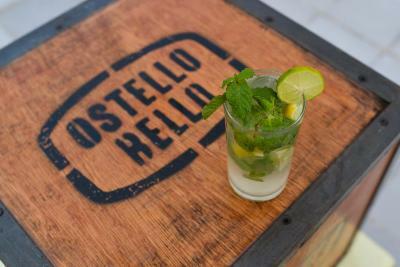 Refreshing drinks can be purchased at the bar during Happy Hours from 17:00 - 21:00 hrs. daily. 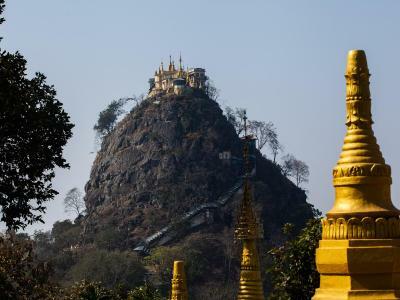 Ostello Bello Bagan is a 10-minute walk to Lawka Nandar Pagoda as well as to Ayeyarwaddy River Bank. Nyaung U Airport is only a 15-minute drive from the property. 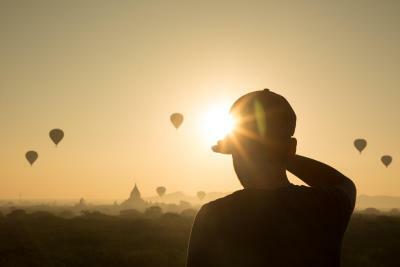 New Bagan is a great choice for travelers interested in culture, friendly locals and scenery. This property also has one of the top-rated locations in Bagan! Guests are happier about it compared to other properties in the area. When would you like to stay at Ostello Bello Bagan? 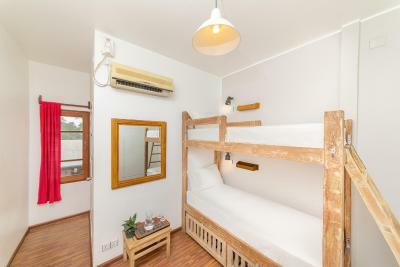 This twin room has air conditioning and a bunk bed. 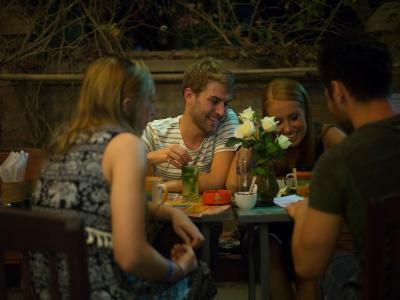 Located in the heart of New Bagan we offer a beautiful modern accommodation. 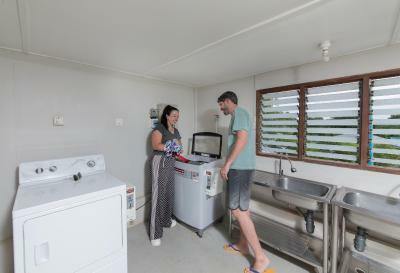 We have Private for the travellers that prefer privacy and for the social travellers we offer 4, 6 and 8 guest dorm rooms, both mixed and female. All rooms have private bathroom. 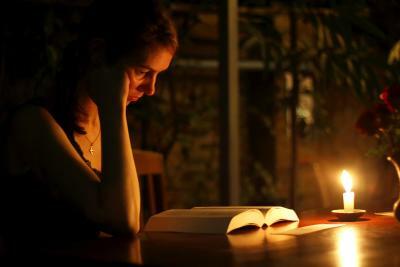 If you arrive early we can provide you with a bed and shower in our chill out area free of charge. 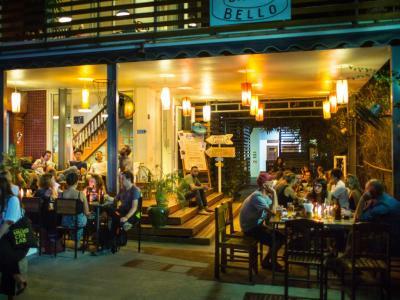 So you can enjoy your time here at Ostello Bello we offer a beautiful rooftop terrace, sun patio, social garden area and reception lounge area. We have a full service bar and restaurant providing western and local food that is made with love and always purified water. Area Info – This neighborhood is a great choice for travelers interested in culture, friendly locals and scenery – Check location Great location - show map Guests loved walking around the neighborhood! House Rules Ostello Bello Bagan takes special requests – add in the next step! 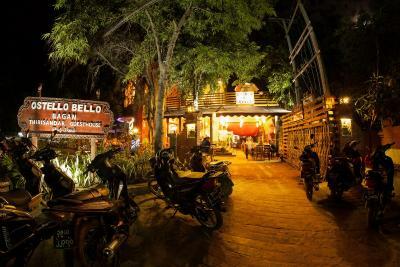 Ostello Bello Bagan accepts these cards and reserves the right to temporarily hold an amount prior to arrival. One child (under the age of 5) can stay free of charge in an existing bed in the private rooms (one child per bed). Guests must be 16 years or older to stay in the dormitory rooms. 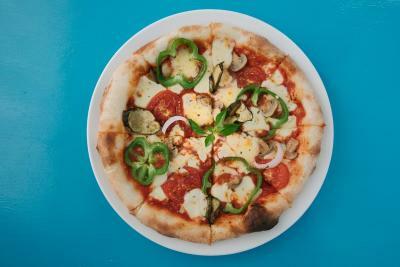 Please note that Ostello Bello Bagan does not accept payments with American Express credit cards. Internet was really bad all the time as all the reviews I have read about it had pointed out as well. The place is good. You meet a lot of people and can rent ebikes just next door. They do plenty of activities some of them free, another ones you give a tip. Staff very helpful and breakfast acceptable. Wish each bunk had a mosquito net attached, I was chewed up by the mosquitos that got in the room with people moving in and out of a 8-bed dorm room. Next progression should be to switch traditional room keys to electronic key card. 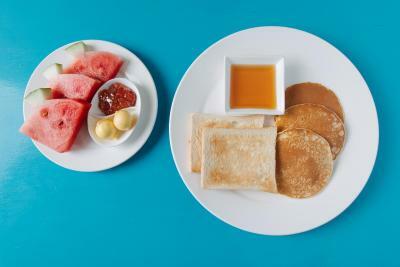 For our taste the coffee was to strong and breakfast could have had more variety than watermelon and scrumbled egg. The hospitality and offered events where great and affordable. Some trips even where free. 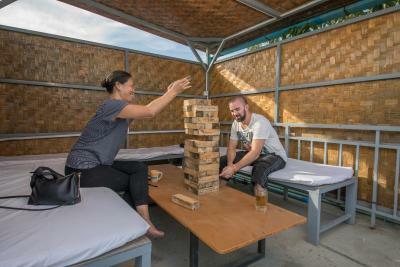 You could chill out all day at the hostel at certain places rooftop, restaurant or balcony. Evening activities hold by the hostels volunteers were fun as well. The restaurant at the hostel offered a good range of dishes local and others. We slept in a seperate room with two beds and the mattresses where comfortable. The room was clean and nice but could be better. The hostel is very nice and clean. 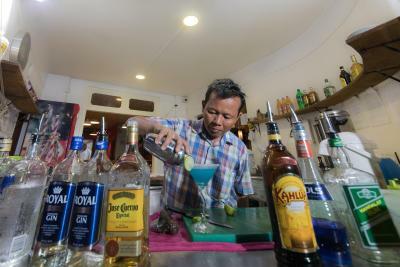 They have a restaurant/bar which has a good selection for food and drinks at decent prices. &HAPPY HOUR! Breakfast could improve. Private rooms small and only beds, would be nice for hostel to include a chair at least to seat down in the room. 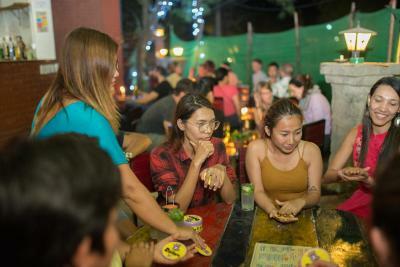 Great hostel and meeting place with other travelers host has all you need and free tours of Bagan. Some of the staff was not very nice! The girl from Finland was quite rude and she was clearly not happy to be asked for help! But everyone else from the staff was amazing! Also breakfast could be improved! 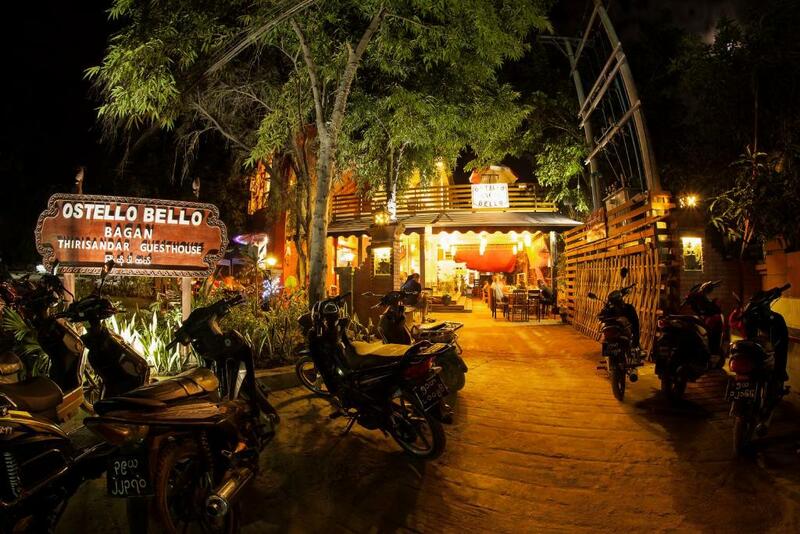 Ostello Bello is the best place where to stay in Bagan, especially as a solo traveller! As soon as you walk in, you immediately meet a lot of other travellers! 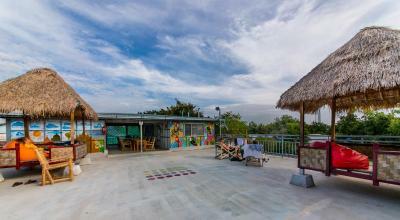 The hostel is clean and comfortable and the location is good! Local and international staff speak good english and they are always really nice! 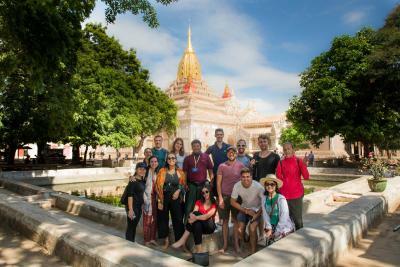 Special thanks to Barbara and Tristan, who helped us organize an amazing tour of Old Bagan and Salay with Wallace and told us the best spots for sunset! If you need any help, ask them and they will be very happy to recommend you the best places where to go! 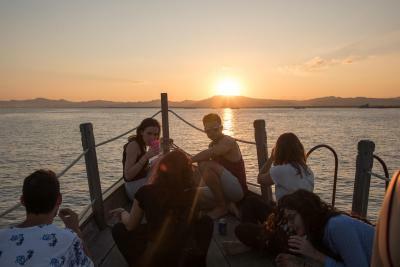 The hostel also organizes great tours! The free temple morning tour and sunrise tour were great! 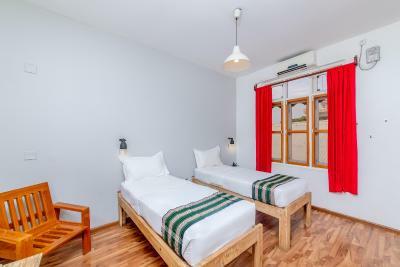 Accommodation in Bagan is rather expensive compared to other places in Myanmar (it applies to Ostello Bello and other hostels/hotels in town). 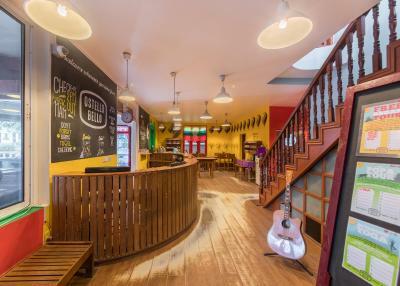 Great atmosphere, easy to meet other travellers, comfy beds, clean bedrooms and bathrooms, good drinks and good food, great location, lovely staff. 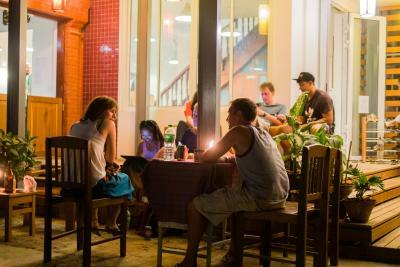 This hostel is perfect for who's traveling alone because you get the chance to meet people from all over the world, mostly solo travelers. The thing I suggest is to ask for Eung Eung the taxi driver to have an amazing sunrise or sunset experience. He knows the best spits to avoid people and most of all he helps you climbing! I had the best sunset and sunrise of my life.